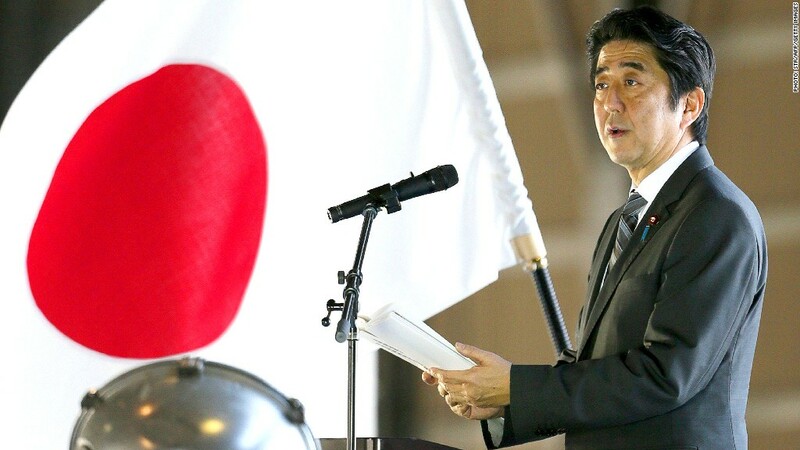 Prime Minister Shinzo Abe must soon decide whether to proceed with a planned tax hike. Japan's finance ministry released data Friday showing that the country's debt burden has topped 1 quadrillion yen for the first time. Yes, more than 1 quadrillion. If you want to get specific, Japan's central government debt at the end of June was 1,008,628,100,000,000 yen. Here's another way to write that: 1,008.6 trillion yen. In U.S. dollars, it's $10.5 trillion. While one quadrillion is largely a symbolic level, the eye-popping number underscores a real challenge for Japan, which has more debt as a percentage of GDP than any other developed nation. Tokyo has now issued 830 trillion yen in government bonds, and the country's revenue collection has never kept pace. Japan's gross public debt is projected to hit 230% of GDP by 2014 after years of sustained deficits. Japan has increased borrowing this year to spend more on the country's infrastructure as part of an ambitious program of economic stimulus aimed at ending decades of stagnation and falling prices. The Organization for Economic Cooperation and Development has cautioned that Japan must do more to arrest rising debt. "Stopping and reversing the rise in the debt-to-GDP ratio is crucial," the organization has said. It's the same story at the IMF: "Japan needs more ambitious plans to bring down debt, plus structural reforms to shift the economy into higher gear," IMF managing director Christine Lagarde said earlier this year. Some help might be on the way, at least from next year. Should the government follow through with the tax hike, it would help raise revenue and prove that Japan is committed to fiscal reforms. But the measure, as planned, would also slow the economy.